Winner of the Sahitya Akademi Award for Konkani literature (2002), Hema Naik’s Bhogadanda (meaning punishment of greed for wealth) traces the life of Leslie, a poor man from a Catholic Goan village who goes to work in the Gulf and turnarounds his life. While he continues working abroad, his wife Jemma starts an extra-marital affair with the poor boyfriend her parents had forced her to leave for marriage to financially secure Leslie. Naik explores the traumatic effect of infidelity on the dreams of Goan men who go to work abroad in the search of wealth. The idea of this novel struck her when she worked at a bank and encountered a depositor who insisted on closing his account although he had only five rupees in his account. He had been driven to desperation by his wife’s affair while he was working abroad – that was his Bhogadanda. In this rousing illustration of femininity and liberating sexuality with an unconventional conclusion, Naik heroes the character of Jemma who continues carving her own path in a society that tries to define it for her. A firebrand feminist, Naik identifies Indian society until 1970 to be an age of ‘ghulami’ for women. Reflecting on the regression her mother’s generation had to face, Naik wrote the character of Jemma to represent a woman of this century, emancipated from the gender norms set by society. 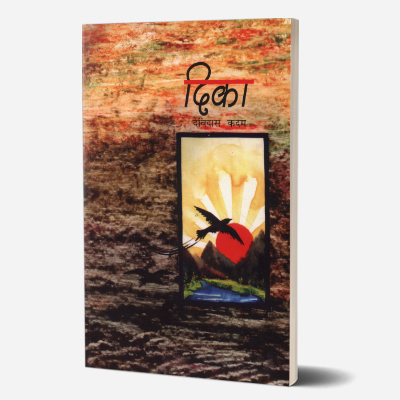 The novel is also the winner of the Kala Akademi State Literary Award (1997) and the Dr. TMA Pai Foundation Best Book Award (1998). In 1998-99, Professor Prakash Thali translated the novel to English and serialised it in the Navhind Times, Goa. 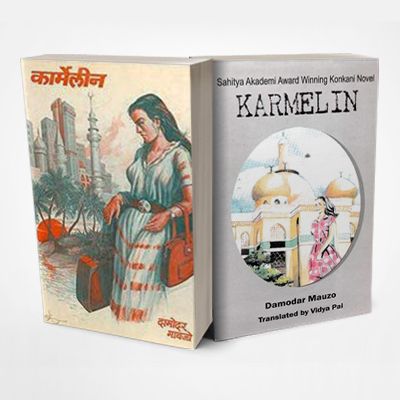 Sahitya Akademi is translating the novel to Gujarati, Punjabi, Marathi, and Hindi; however, none of these translations have been published yet. Hema Naik has been credited for bringing a feminist voice to Konkani literature. Her works are said to be fiery and rebellious; they feature vibrant and unique female characters. Her bibliography ranges from novels and short stories to translations of literature to Konkani. Nirbala ani Mukti (1992), BhailiGoddi (1984), and Bhogadanda (1997) are just some of her published works. An Economics graduate, she runs a publishing house called Apurbai Prakashan. The Government of Goa felicitated her with the Yashodamini Puraskar(2002) and the State Award of the Directorate of Art and Culture (2009) for her literary contributions.